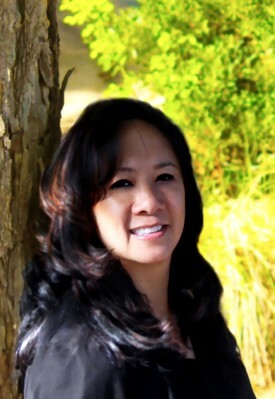 Dr. Diana Wang-Dulvick has been practicing dentistry since 1991. She graduated from University of California, Riverside with a Bachelors of Science in Biology; then moved to Chicago to attend Northwestern University Dental School. She continues to attend advanced education programs in cosmetic and general dentistry and enjoys many aspects of dentistry. Born in Montevideo, Uruguay and raised in La Paz, Bolivia, Dr. Wang-Dulvick speaks Spanish fluently. While in dental school, she met and married her husband, Dr. Roger Dulvick. They now reside in Chandler with their two children, Vicki and Nicholas; and their two dogs, Sandy and Oreo. Dr. Wang-Dulvick, known as Dr. Diana in the office, enjoys camping, scuba diving, movies and trying new restaurants. Suggestions are always welcomed. Dr. Roger J. Dulvick moved from Michigan to attend the University of Arizona, where he graduated with a Bachelor’s degree in Biochemistry in 1987. He received his Doctorate of Dental Surgery from Northwestern University Dental School in Chicago in 1991, where he graduated at the top of his class. Dr. Dulvick attends national conferences and study group meetings throughout the year to continue to hone his skills and keep up to date on all of the latest techniques on General Dentistry, Cosmetic Dentistry, Implant Dentistry, and Conscious Oral and Inhalation Sedation. 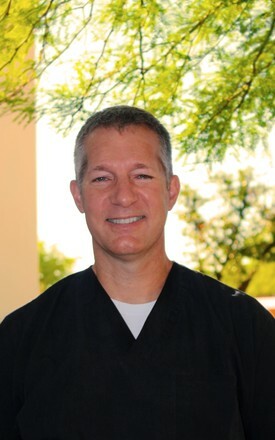 Dr. Dulvick enjoys running, tennis, scuba diving, hiking, camping, Suns basketball and travel. He is also a private pilot. His other hobbies include whatever his children are currently into. He resides in Chandler with his wife, Dr. Diana, and his children, Vicki and Nicholas.